We have all heard of the term “sugar daddy”, but very few of us actually know what this phrase truly means. Some may consider the typical sugar daddy profile to be defined as a man who spends a lavish amount of money on a girl (or boy, for that matter). Others could instead imagine this personality to be defined by a man who enjoys the idea of having a younger and attractive individual nearby when attending public events and gatherings. The fact of the matter is that both of these observations can be correct. This will depend upon the personality of the sugar daddy and the type of relationship that he desires. Let’s take a closer look. If one word can summarise the typical sugar daddy profile, this word is without a doubt “money”. To put it simply, this type of man is very successful and enjoys an opulent lifestyle. Not only can wealth allow him to be financially independent, but he is able to shower this lifestyle upon another (“sugar babe” is a term sometimes used here). However, there is much more associated with a sugar daddy profile than cold, hard cash alone. 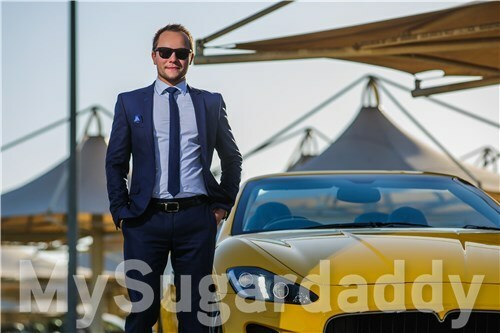 Is Money All That Matters to the Typical Sugar Daddy Profile? We should make it a point to note here that in many cases, the sugar daddy can be looking for much more than physical affection or a piece of “eye candy” to flaunt at an upcoming party. Some men require their women to be just as emotionally stimulating as they are physically beautiful. The duties of a sugar babe could therefore vary between mistress, part-time lover, friend and even confidante. One of the best things about the modern sugar daddy profile is that the other party is well aware of the situation. In other words, there are no hidden agendas or “fine print”. The relationship is clear to both parties. Boundaries and other factors are made apparent from the beginning. So, there are no unpleasant surprises ahead. Not only is finding a relevant sugar daddy profile an excellent way to enjoy the finer things in life, but there are many times when such a relationship can be emotionally satisfying to everyone involved. Although the best things in life might not necessarily be, a sugar daddy can certainly help!